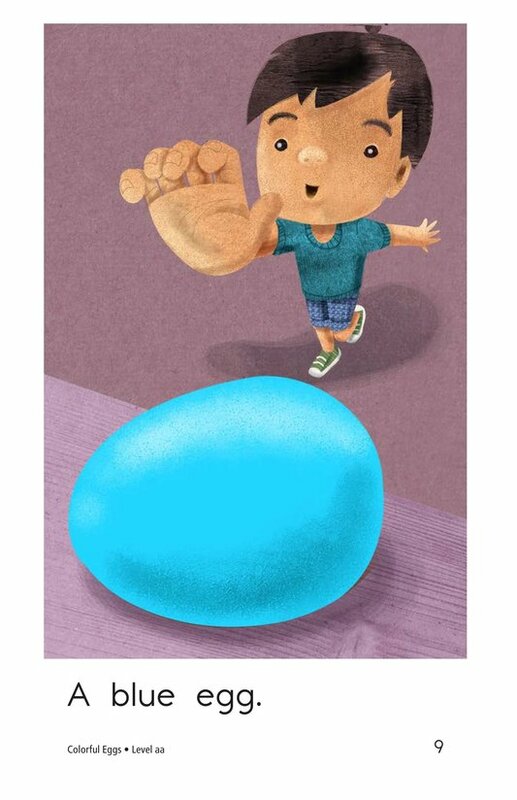 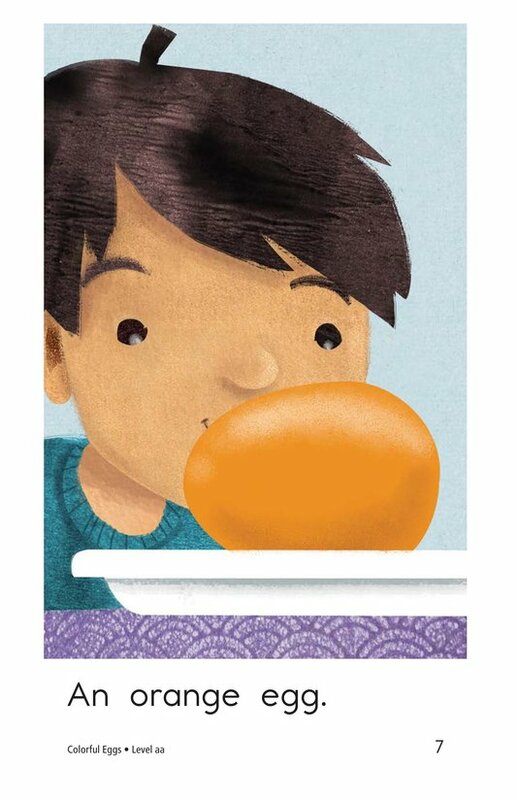 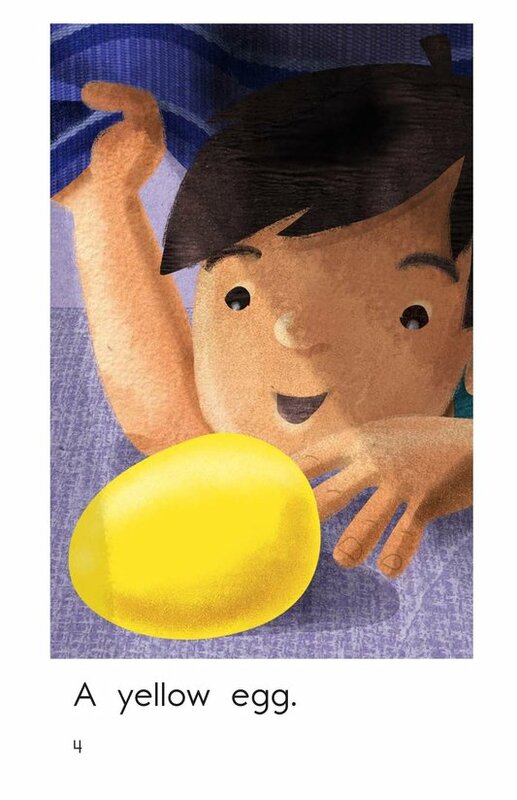 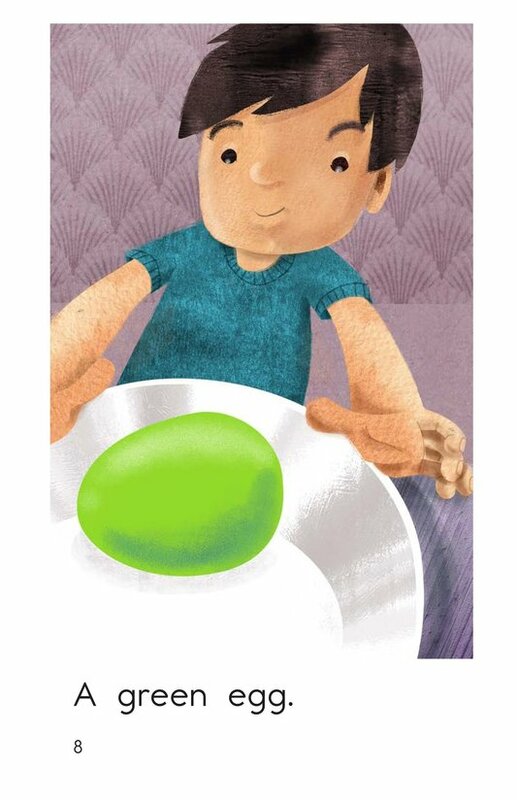 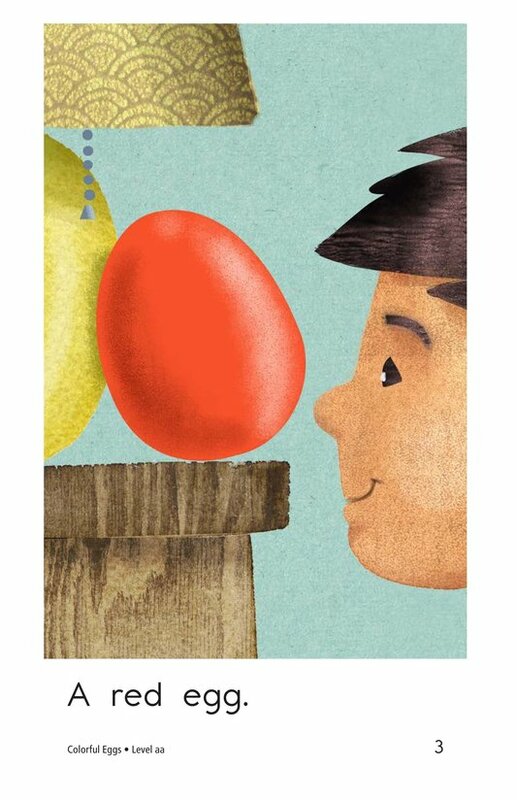 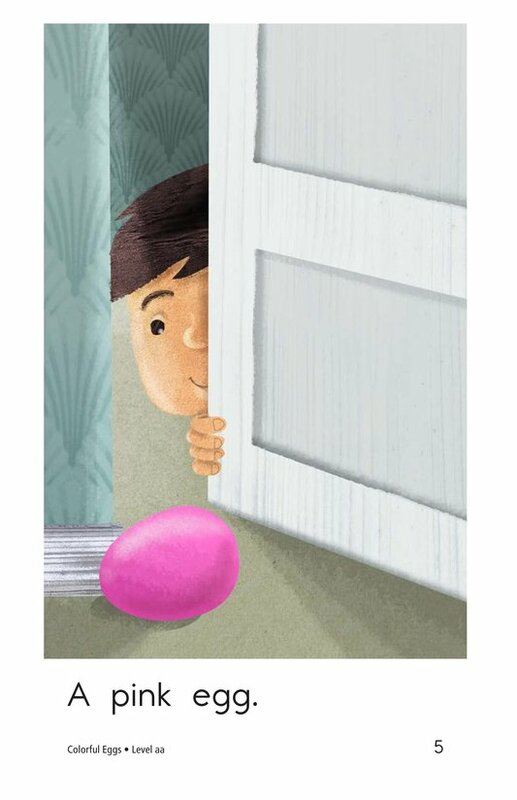 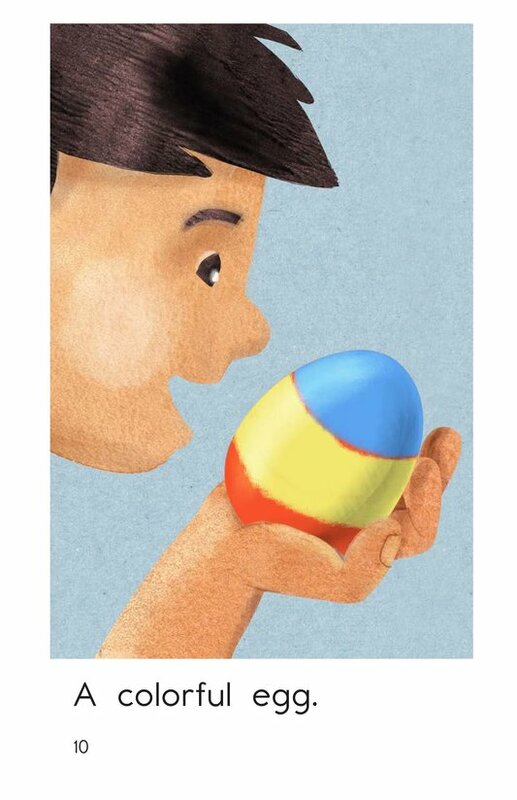 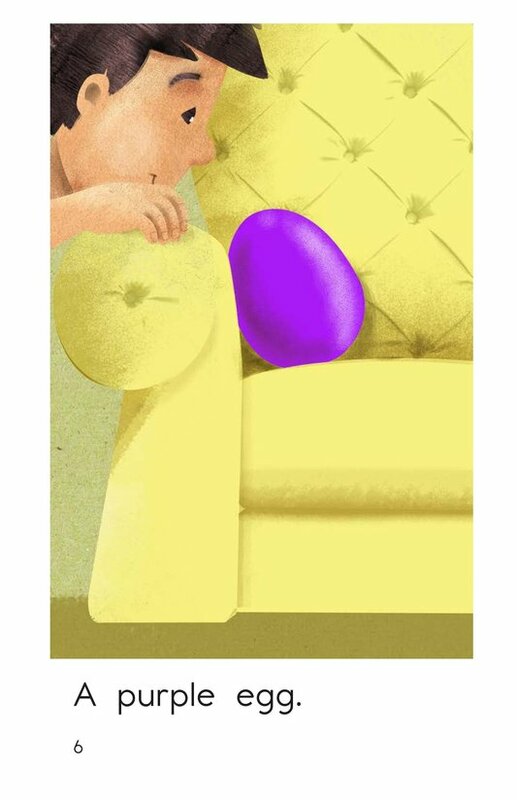 In Colorful Eggs, readers follow a young boy as he seeks brightly colored eggs hidden around his home. 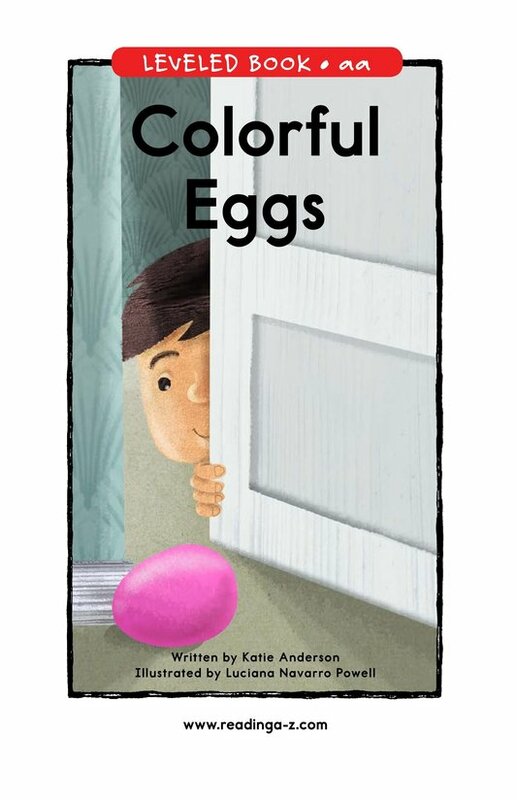 Detailed, colorful illustrations, high-frequency words, and simple sentence patterns support students. 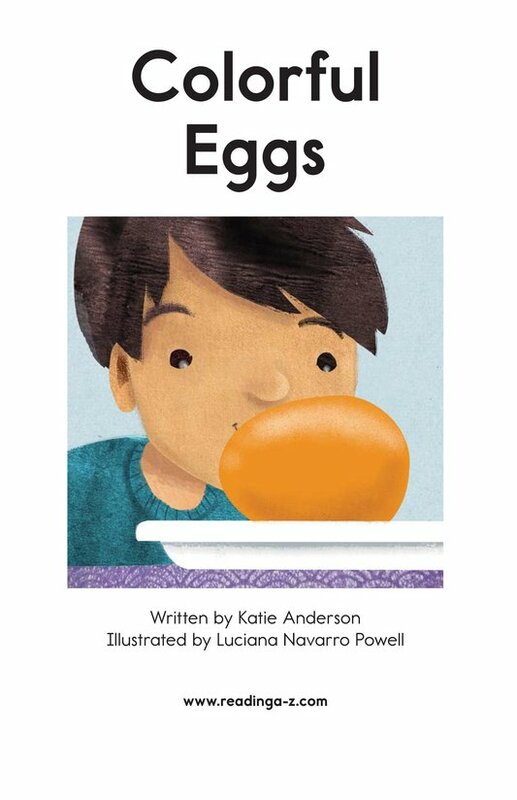 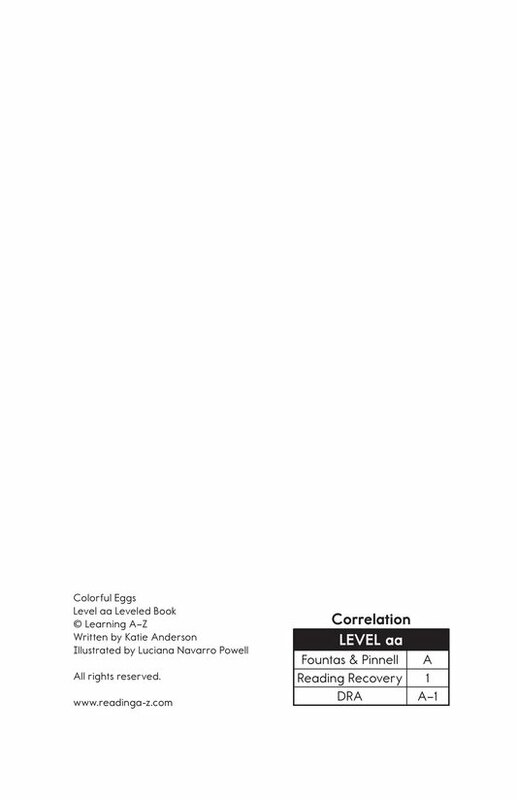 Use this book to discuss the popular tradition of dying and hunting eggs while also teaching students about identifying main idea and details and using capital letters and periods.